Welcome to the K-5 & 7th grade art page with Mrs. Johnson! 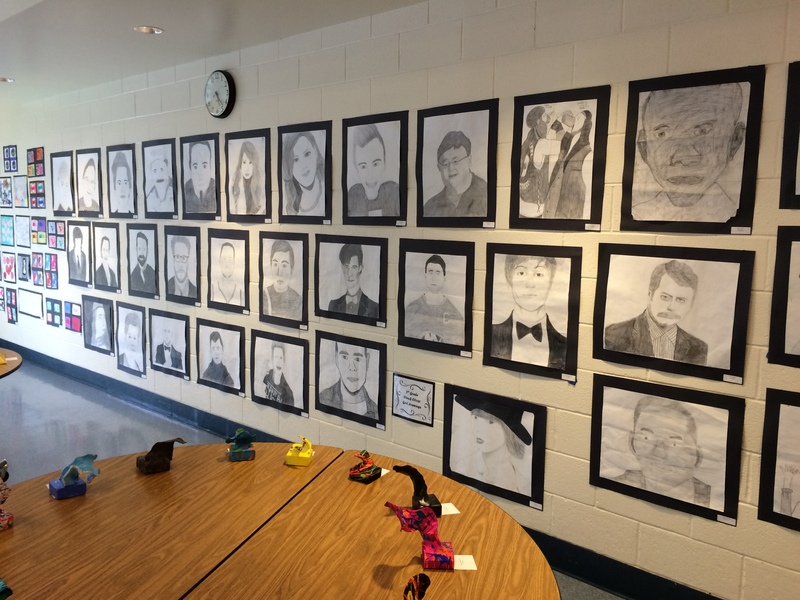 I just wanted to say thank you to the students & teacher's who helped me hang the art show work! I couldn't have done it without you! The work looked great this year and everyone really enjoyed seeing all of your hard work. Check out recent artwork in the image gallery on the left hand menu. Looking forward to the show next year! 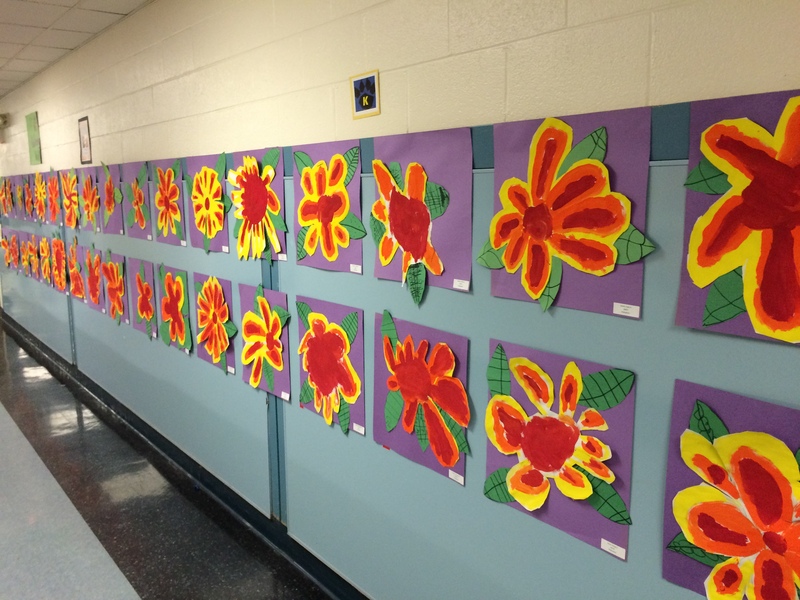 Just love these Kindergarten Georgia O'Keeffe flower paintings! !